Mid-Atlantic Sports Cars was created in the summer of 2007. Throughout the years the dealership has become more focused on buying and selling investment collectible grade cars. However, we will still help our clients with the purchase or sale of everyday cars should they want assistance. Wayne Long manages the business and brings a long history of involvement with automotive sportscar hobby. Before he was five years old Wayne attended sports car racing events with his family. Richard Whiteman, Wayne's Uncle, raced Sprite's and Fiats at SCCA events as Wayne grew up. Wayne's Dad, Tom "TR" Long, who was a professor at WVU, was a founding member of the Mon Valley Sports Car Club. As a result, Wayne, grew up in the sports car culture at various motoring and driving events with the Club. In addition to viewing racing Wayne started racing Motocross at age 14. After retiring from Motocross, Wayne began competing in Auto-X events and has continued competing for more than forty years now. We hope that our knowledge and experience will help you find and enjoy the car of your dreams! Wayne helped found the Cortile Italian Car Show at the Pittsburgh Vintage Grand Prix and organized the first Car Show judging at the event in 2010. The Cortile Cup Award as become more and more coveted by the winners at the Annual July Event. Wayne has been a Concours judge at places such as Hilton Head Island Concours d'Elegance, the Sewickly Show and others. Wayne also founded Concours LLC, which brings together a team of concours judges, logistics, and judges to plan an develop automtoive events. In 2015 Wayne proposed the idea of a Concours Event at The Greenbrier. 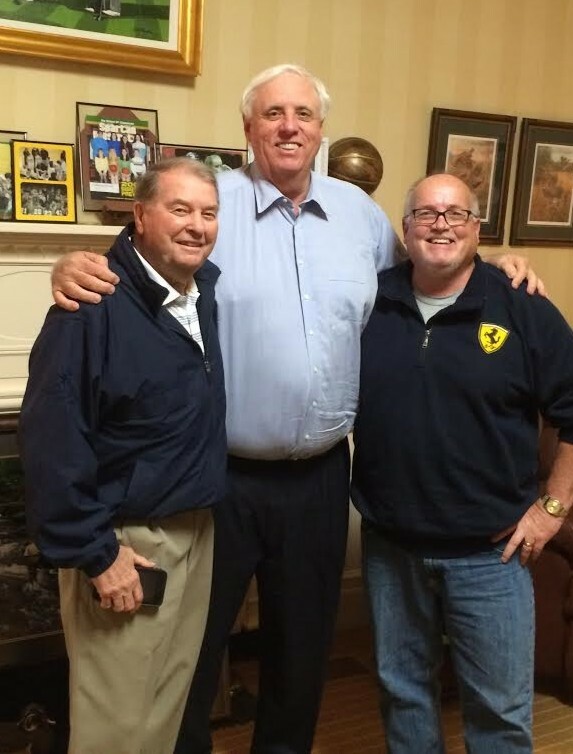 Working with Don Nehlen and Jim Justice and then Jim's staff at The Greenbrier , the inaugural Greenbrier Concours d'Elegance will be held in May 2018. 2013 - Moved to current facility. Don Nehlen, Jim Justice & Wayne Long. Planning for the Greenbrier Concours d'Elegance. Keith Martin and Wayne Long judging at the 2016 Hilton Head Concours d'Elegance.